Dental sensitivity is an extremely common condition that causes discomfort when the teeth are exposed to certain stimulants, such as cold air or certain foods and beverages. There are many causes—and thus, many solutions—for dental sensitivity that can restore your comfort and ability to enjoy everyday life. Contact Dr. John R. Carson, DDS to find out more about how he can help you put an end to uncomfortable dental sensitivity. Dentin is a porous layer of tissue that covers the roots of your teeth. Dental sensitivity occurs when the protective enamel of the teeth is damaged or worn away, exposing the dentin beneath. When dentin is exposed, stimulants such as heat, cold, and spicy or sweet tastes can directly affect the nerves of the teeth, causing sensitivity. The exposure of dentin may occur due to many factors. Receding gums caused by periodontal disease no longer adequately protect the roots of your teeth. Alternatively, your tooth enamel may be worn away by acidic foods and beverages, overzealous tooth brushing, or bruxism. Injuries to the teeth that crack or chip the surface may also expose the underlying dentin, causing sensitivity. What Treatments Exist for Sensitive Teeth? The best treatment for your dental sensitivity will depend upon the cause of your condition. Your dentist will determine why you are experiencing sensitivity and recommend a treatment that will reduce your discomfort. Learning to brush correctly and using a soft-bristled toothbrush will prevent enamel wear due to daily oral care routines. If you grind your teeth or play sports, your dentist can create a custom-fitted mouth guard to protect the teeth from damage. Teeth that have been damaged or worn may be restored using a variety of dental techniques to strengthen or replace lost tooth enamel. Sensitive teeth shouldn’t ruin your enjoyment of everyday life. Dr. John Carson, DDS offers a variety of prevention and treatment options for sensitive teeth in the Tucson area. Contact our office by calling (520) 514-7203 or visit us on the web to learn more about your dental treatment options. Cavities are caused by the bacteria that live in your mouth. Over time, these bacteria secrete acids that break down your tooth enamel, causing cavities to form. SOPROLIFE is an advanced dental diagnostic tool that allows your Tucson dentist to identify and treat tooth decay in its earliest stages for the greatest health benefits. SOPROLIFE is a diagnostic tool that your dentist uses to identify tiny areas of tooth decay during an exam. The instrument works by illuminating each tooth and the junctures between your teeth with a special light. Using computer software, SOPROLIFE measures the amount of light transmitted through your tooth enamel to identify areas where the transmittance is not the same. Changes in light transmittance signal the presence of tooth decay, even when it is in its earliest stages. Your dentist can also use SOPROLIFE during the treatment process to ensure he has removed all affected tissue before he begins filling your cavity to restore the cosmetic appearance of your smile. What Are the Benefits of SOPROLIFE? SOPROLIFE provides your dentist with a valuable tool that gives extensive information about your dental health. Tiny areas of tooth decay, particularly those that occur between adjacent teeth, could be missed in X-rays or during a visual examination. SOPROLIFE is a completely safe way for your dentist to thoroughly examine every surface of each tooth. Because it can identify tooth decay in its earliest stages, the use of SOPROLIFE also minimizes the amount of healthy tooth enamel that must be removed to treat a cavity. Cavities that are missed early on will grow in size over time, requiring that additional tooth material be removed during treatment. Additionally, the use of SOPROLIFE during a cavity filling procedure ensures that no infected tissue is left behind to cause problems in the future. Dr. John Carson, DDS, is pleased to offer SOPROLIFE in addition to other state-of-the-art dental technology. If you’d like to schedule your appointment for preventive, restorative, or cosmetic dentistry in Tucson, please call (520) 514-7203 or visit us on the web. You may have heard the term “soft teeth” blamed for poor dental health, especially when it runs in families. Many people believe that soft teeth are an inherited trait that causes a high number of cavities. However, the truth is that soft teeth are largely a myth. While there is a dental condition that causes deformation and “soft” tooth enamel to occur, it is extremely rare. In truth, soft teeth are not the cause of your cavities—so keep reading to discover the truth about your dental health. Many people believe that they can inherit soft, or cavity-prone, teeth from their parents. While the cause of cavities is not soft teeth, studies have found that a predisposition to develop cavities can run in families. Cavities are caused by the presence of bacteria in the mouth, which convert sugars into acids that destroy healthy tooth enamel. High levels of bacteria can be inherited or even physically passed from parent to child by sharing kisses, utensils, cups, and straws. It is these high levels of bacteria, which could be linked to genetic predisposition, that play a central role in the inheritance of cavities. Although genetics do play some role in the inheritance of cavities, there are other “inheritable” factors as well. Children learn by imitating their parents. Very young children are also subject to the diet provided by their caregivers. Thus, habits and lifestyles that raise the risk for cavities can also be passed from parent to child. Parents who do not stress daily oral hygiene practices or provide a diet rich in sugars could also be responsible for the propagation of the inherited soft teeth myth. Do you have questions or concerns about your dental health? 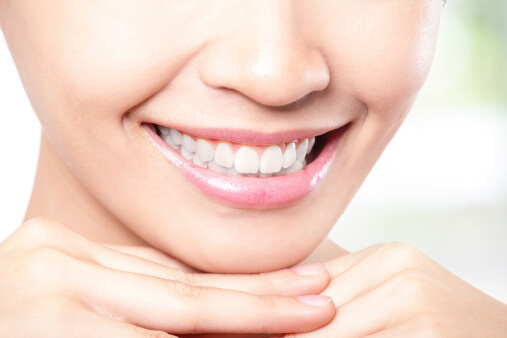 Dr. John Carson, DDS has the answers you need for a healthier, more confident smile. Click through our website for more information about our services, including crowns, dental implants, and veneers, or call (520) 514-7203 to speak with an experienced member of our dental team. Although regular dental care is extremely important for the health of your mouth and body, many people consistently avoid dental appointments. One of the most common reasons for this avoidance is discomfort during exams or treatments. Although a dental exam is not painful, many patients feel uncomfortable when required to keep their mouth open for long periods of time. Dr. John Carson, DDS, is pleased to offer Isolite—a specially-designed mouthpiece that will enhance your comfort by providing a place to rest your jaw while allowing your dentist to work more quickly and easily. Isolite is a single-use mouthpiece made of clear, soft, flexible plastic that performs four important functions all at once. First, the Isolite mouthpiece provides a place for you to rest your jaw when you must keep it open during an exam or dental procedure. Second, Isolite gently pushes your tongue and cheek out of the way, allowing your dentist a clear view of your teeth and gums. Third, Isolite protects your throat to prevent accidental aspiration of materials during dental work. Fourth, Isolite provides bright light and suctions away water or other fluids, reducing the number of instruments in your mouth at any one time. What Are the Benefits of Isolite? The Isolite mouthpiece is a revolutionary new tool that will greatly enhance your comfort during dental visits. It can be placed in your mouth in a matter of seconds and removed even more quickly when your dentist is finished. Not only will you enjoy greater comfort during exams and dental work, but your dentist can work more quickly and effectively as well, shortening the time you will spend in the chair by up to 30%. Going to the Dentist: Why Wait? 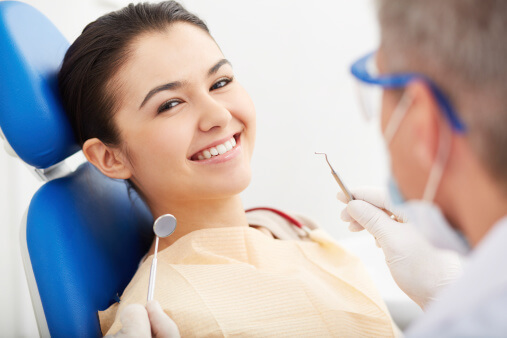 Regular visits to the dentist are an essential part of maintaining your dental health. Most dentists recommend that patients schedule an exam and cleaning once each year. However, many people wait much longer than 12 months between dental visits. Keep reading to find out why regular preventive dental care is needed, even if you have healthy teeth and gums. Although dentists recommend one annual cleaning and checkup, the average adult visits his dentist only once every three years. Many do only schedule a dental appointment when they experience pain or other problems. This disparity between recommended yearly visits and the actual interval between exams is not offset by good oral hygiene habits at home. Only 22% of adults floss daily and 75% are brushing with a toothbrush that should be replaced. Nearly three-fourths of Americans suffer from some form of periodontal disease, a progressive dental condition that can eventually lead to irreversible tissue damage and tooth loss if not treated in time. Even if you brush and floss daily, you are not completely immune to dental disease. Over time, many changes can occur in your mouth without garnering your notice. Tooth decay, gum disease, and oral cancer often do not cause noticeable symptoms until they are quite advanced, at which point aggressive and often extensive dental treatment is needed to address these issues to restore your smile. Regular dental exams are essential for identifying and treating dental problems when they are small. You will enjoy not only less invasive treatment, but less costly and shorter treatments as well. Additionally, studies showing a strong link between dental and overall health further emphasize the important of regular dental visits for improved overall wellness. Maintaining good dental health means you’ll enjoy a great smile for life. Is it time for your next dental exam? Tucson dentist Dr. John Carson, DDS is dedicated to providing the utmost in top-quality dental care and patient comfort. Call (520) 514-7203 or visit our website to schedule your appointment today. The field of dentistry continues to advance as dentists strive to provide up-to-date information on the prevention and treatment of dental disease. New and exciting advancements in knowledge and technology are made every day. Keep reading to learn more about some of the most amazing recent dental discoveries that have made headlines across the world. Your dentist likely stresses the importance eating less candy for better dental health. Candy contains sugars, which provide a ready food source for the bacteria that cause tooth decay and gum disease. However, a recent German team of researchers has developed the world’s first beneficial candy, which reduces the number of cavity-causing bacteria in your mouth as you consume it. Nearly 75% of test subjects who tried this beneficial candy showed significantly lower levels of “bad” bacteria in their mouths at the end of the study. Gum disease affects three out of every four American adults. It is one of the leading causes of tooth loss. Now, a recent study has discovered another health effect of gum disease: an increased risk of oral cancer. Researches at Case Western Reserve University have found that the byproducts created by gum disease-causing bacteria could cause the development of cancerous lesions and tumors in the mouth. Although this result is worrisome, it also holds great promise—regular testing for these bacteria in your saliva could lead to treatment that will prevent the development of malignant oral cancers in the mouth, potentially saving thousands of lives each year. Increasing awareness of this link between gum disease and oral cancer could also prompt more adults to seek regular dental cleanings to address gum disease in its earliest stages. Dr. John Carson, DDS is focused on delivering the latest in dental treatments while enhancing patient comfort in Tucson. Our dental office offers cleanings, crowns, root canals, mouth guards, and dental implants in addition to sedation dentistry options for nervous patients. You can find out more about our practice online or by calling (520) 514-7203.